Sometimes back, I had written about a reading challenge I was going to take up in 2012. On blog hopping various book blogs I came across a few more, so thought of taking up a few more reading challenges. 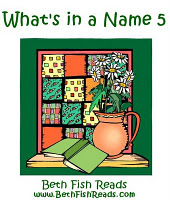 The first one about which I have already written earlier is A2Z Reading Challenge. The South Asian Reading Challenge. 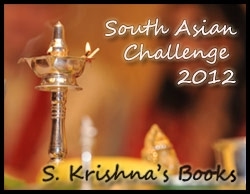 This challenge is hosted by Swapna Krishna of S Krishna's Books. You can read the details about this challenge here. I plan to read at least 15 books which will qualify for this challenge. Apart from this I have also taken up the Goodreads Challenge where I am challenging myself to read 50 books in 2012. I had taken a similar challenge last year but failed marginally. I am hoping to reach my reading goal this year. So, this is all about reading challenges 2012. Are you taking up any? I will be glad to hear about them. I have finished reading Arranged Marriage by Chitra Banerjee Divakaruni and the review will be up soon.